INTECH has finished decorating the company showroom recently. It hopes to show a clear picture of product line for the clients when they visit. Now, let’s have a look at INTECH showroom in advance. Stopped at the entrance gate, you need to swipe the smart card on the digital signage for permission. Enter the showroom, you will see a wide range of touch screens mounted on the wall in the right side. 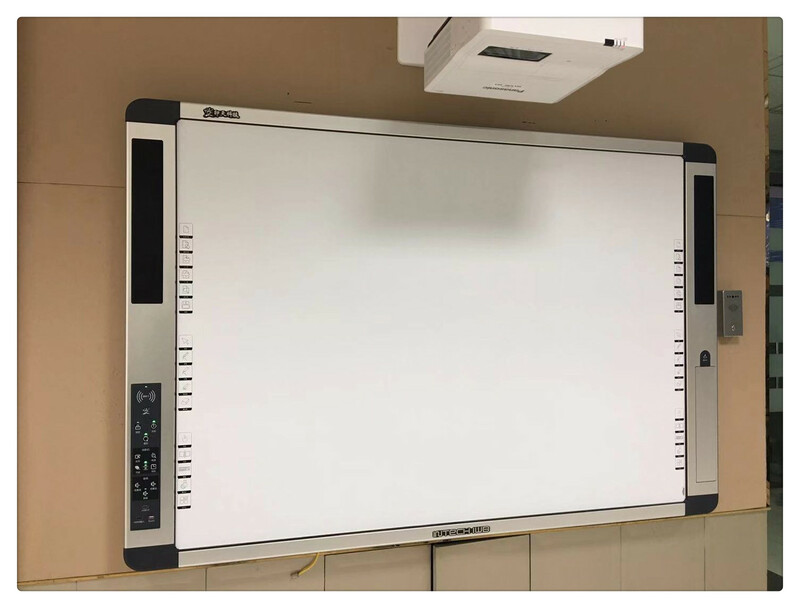 Apart from the infrared interactive whiteboard and interactive flat panel, there is a piece of all in one interactive whiteboard which is the popular products of INTECH IWB® series developed by INTECH R&D team last year. INTECH all in one interactive whiteboard is absolutely the best solution for digital learning environment due to raising the interactivity into the next level with an innovative system. It brings everything needed into one machine, including interactive whiteboard, PC, document camera, two speakers, central control system and wireless microphone module. Thanks to the integrated design, you no longer see any messy peripherals and exposed cables. The unique part of INTECH aio iwb lies in the central control panel facilitating easier classroom operations. It not only supports ID card identification for fast starting equipment, but also allows for freely control the projector and speakers. Additionally, with support of the embedded document camera, you can share rich content without additional handling, like documents, specimen, etc. The anti-shake feature gives you a clear viewing experience. Of course, it is full of the basic features of interactive whiteboard supporting up to 10 touch points and multi users writing simultaneously. INTECH all in one interactive whiteboard is ready to offer you seamlessly collaboration. Choose it and enjoy the unlimited convenience it brings to you. 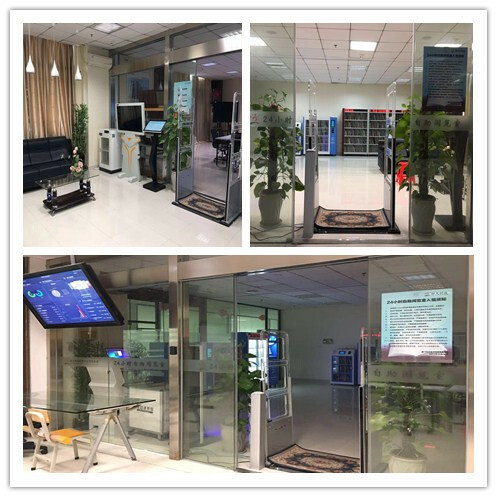 On the left side of showroom, you will see INTECH 24h self-service library that boasts the best user experience with an array of smart devices. The security gate offers audio and visual alarms used to protect library items from the theft. 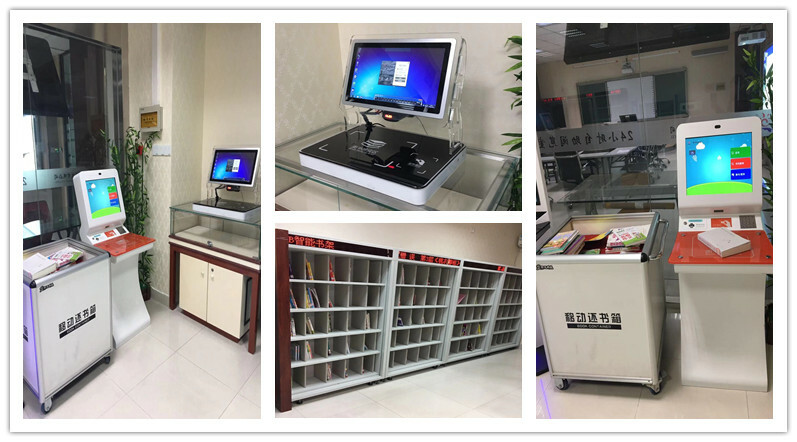 For the RFID staff station, it can efficiently help library staff to convert the barcode into the rfid tags and process the single or multiple library items at once. The self-service kiosk with intuitive touch screen allows you to search contents in the library and to finish the self-check service easily and quickly. It also equipped with the book container for collecting the returned library materials. There is a row of smart bookshelf in the INTECH 24h self-service library. Compared with the traditional bookshelf, it is full of antenna in each layer to detect the books in real-time. Whether the wrong position or the lost books, it will generate a report to assist library management. 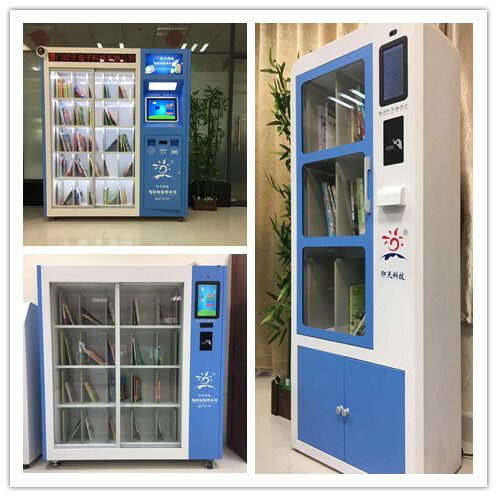 The highlights of INTECH 24h self-service library issmart mini library and smart book cabinet. Both are similar to each other and suitable to be place in anywhere and service in any time. They support facial recognition and card identification to log in the system for library transactions. You can search, renew, reserve and check in, check out on the equipment without the help of library staffs. Of course, you also can print a receipt about your library transaction for future reference. With one machine, you can enjoy all the library service faster and easier, but relative small investment to extend your library reach. INTECH 24h self-service library make library information richer and more accessible for all the people.